Once again we had a fantastic turnout from parents to celebrate our MacMillan coffee morning on the 29th of September. 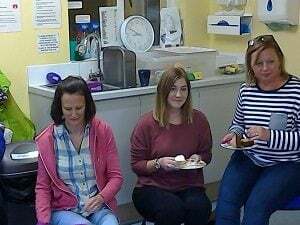 We had a wonderful morning with our parents chatting over cups of tea, while both mums and dads enjoyed home made cakes along with the children! It was a fantastic morning enjoyed by all! 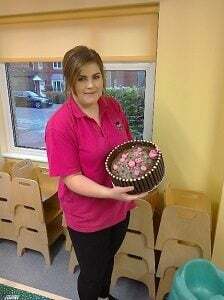 Yet again, there was stiff competition between the ladies as to who would be the star baker, and this year the winner was Lucy Watts in the Totts room with her pigs swimming in a chocolate cake! Well done Lucy! We had lots of fun, and raised a fantastic £86! A big thank you and well done to all who attended! 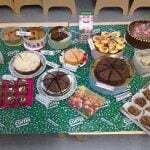 This entry was posted in homepage and tagged cake, children, coffee, fund raising, macmillan, nursery. Bookmark the permalink.